The idea of building a fortress was born at neighbouring Saint-Fargeau castle; an archaeological team, led by Nicolas Faucherre, presented the owner, Michel Guyot, with the results of the study they had carried out into the castle's medieval origins. The survey brought to light the 13th-century castle buried within the Renaissance brick walls of Saint-Fargeau. It was this discovery which inspired the idea of bringing a medieval construction site to life in order to better understand how master-builders worked in the 13th century. Each season, the visiting public can witness the construction team using all the techniques associated with castle-construction: wedge-and-feather sandstone quarrying, lime-mortar making, rubble-stone masonry, vault construction, hewing beams, assembling roof timbers etc. On site, there is also have a working forge, carters and their horses, a dyers' workshop, a tilers' and wood-fired tile kiln, a woodturner, and ropemaker. · Christian Corvisier: architectural historian. Guédelon regularly participates in seminars at Lyon II University. 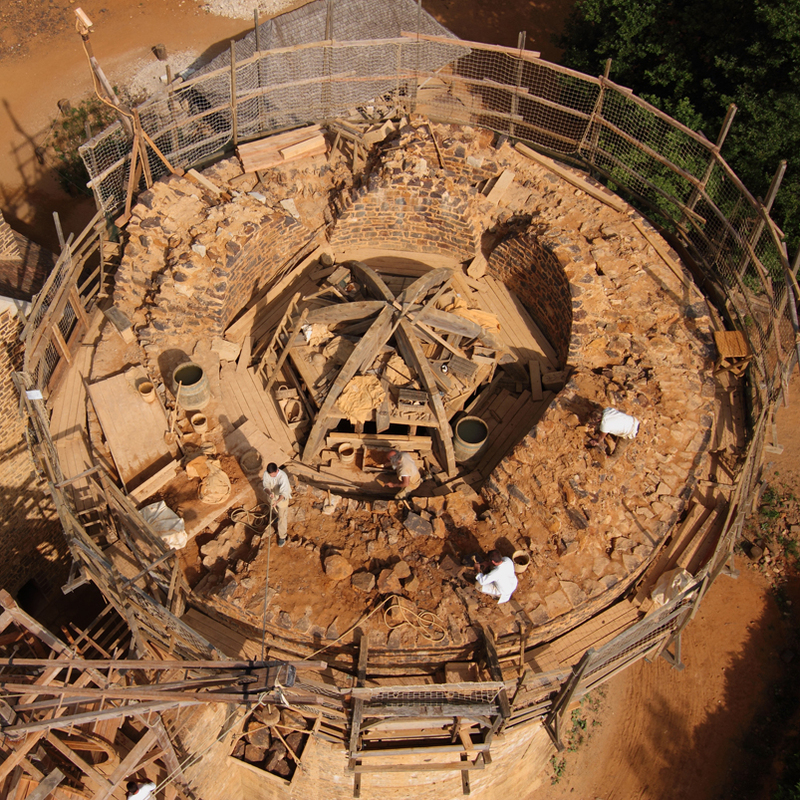 In 2012, a partnership was formed with INRAP (the French National Institute for Preventative Archaeology) and a full-scale working model of a late 12th-century watermill, found in the Jura, is being built on the mill ponds behind the castle. Construction of a drop-mill begins in 2014. Throughout the season, workshops exploring medieval construction, geometry and stonecarving, are organised for school parties. 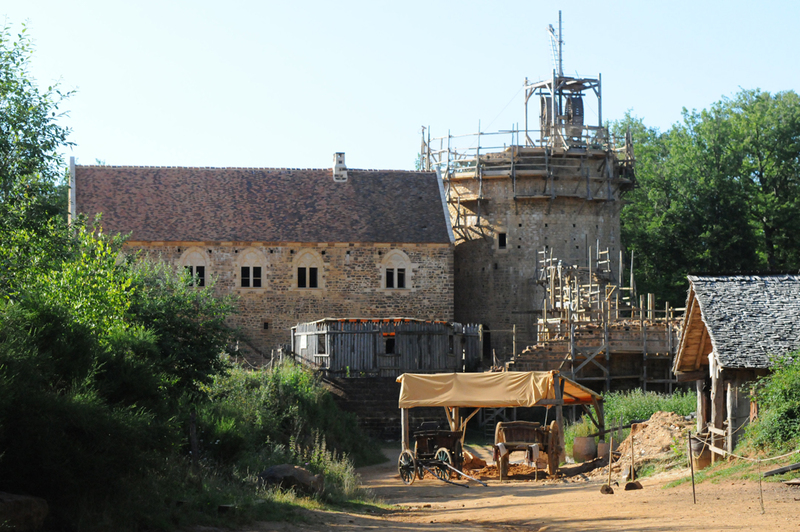 Guédelon is located in northern Burgundy, 45 kilometres west of Auxerre. The site has been open to the public since 1998. A breathtaking experience. Check our Review of the books about Guédelon. Guédelon’s co-founder, Maryline Martin, was the first person to believe in the project’s viability. She has managed the project since its inception. "What excited me about this project was making a long term commitment to people. It meant we could offer training, meaningful work and a real future. Sarah works on site as a bilingual tour guide and behind the scenes as a press officer dealing with enquiries from English-speaking journalists. She is also responsible for managing Guédelon’s online community. 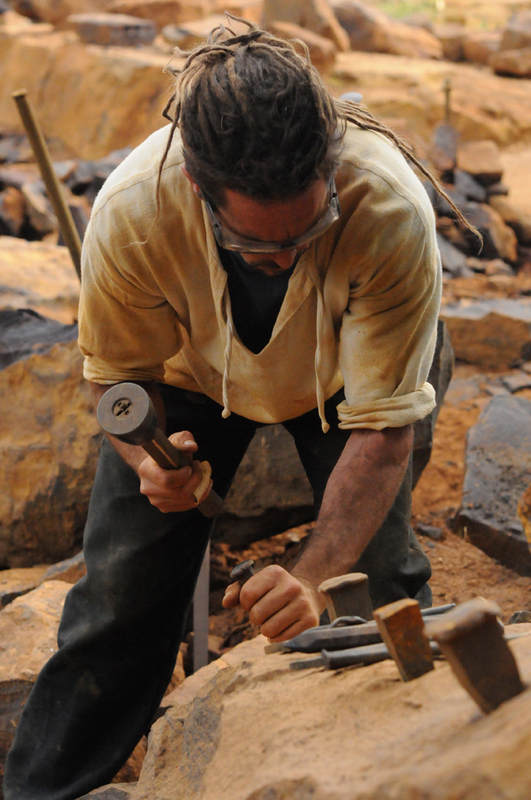 Hein can lead guided tours and stonecarving workshops in French, English, German and his native Dutch. He also fields enquiries from the German and Dutch press.